Notes: CMP. 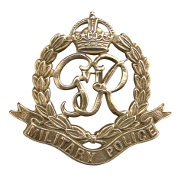 103 Company TC, Enlisted in the Gloucestershire Regiment, transferred to the Dorsetshire Regiment, transferred to CMP. 3/10/44 Died. He was born and resided in Gloucestershire. War Diary 103 Company TC, WO 170/3583. 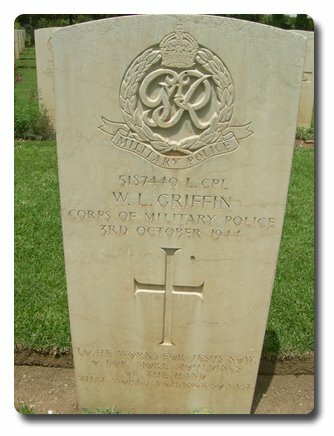 Died in a traffic accident at Vairano, 4/10/44, 10.30 hrs, Pte Griffin buried at Caserta. Inscription on gravestone: Lo he works for Jesus now, O' for more mouldings of the hand that works a change so vast. Walter Leslie Griffin.